The groundbreaking ceremony for the fifth GROB plant in Pianezza, Italy, marked yet another important milestone for GROB in its electromobility offensive. The greater area of Turin, the heart of Italy's automotive industry, is where GROB will be manufacturing, in its new plant, systems for making electric motors and generators. For some five years now, alongside its established business for machining centers in the automotive industry, GROB has been developing expertise for production facilities in electric drive and battery storage technologies. At the end of January 2017, GROB bought a hundred percent share in DMG meccanica – a leading manufacturer of machines and systems for producing electric motor, alternator and generator stators. The aim was to significantly enhance its expertise and boost developments in the electromobility sector. One year later saw the company pass the next milestone, the full incorporation of DMG meccanica into the GROB Group in order to complete the integration process and achieve the desired structural optimization. DMG meccanica became GROB Italy S.r.l. The relocation of the current GROB Italy S.r.l. plant from Buttigliera Alta to the new factory halls is another logical step in a strategic development plan that will see the emergence, in Pianezza, of a center for the development and production of machinery and automation solutions for the electromobility sector. This is the backdrop against which GROB is building a completely new plant over 24,000 m² of space with an investment volume of some 10 million euro. Once the plant is complete in the next fourteen months, GROB will, in the short term, grow its current workforce of 60 people by another 50 to 60 jobs. A win-win situation for both sides. For GROB and for the region. "Our takeover of DMG meccanica two years ago was a first important step towards further expanding our e-mobility expertise," explains Christian Grob, GROB Supervisory Board Chairman, at the groundbreaking ceremony in Pianezza. "Now, by building the first GROB production plant for electromobility, we are even better placed to meet the wide-ranging requirements of the automotive industry." 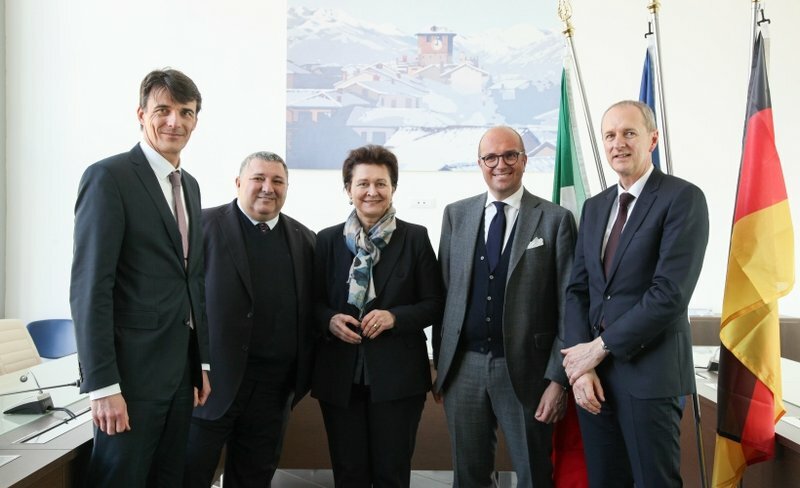 The groundbreaking ceremony on March 12 in Pianezza was attended by First Mayor Antonio Castello and other political representatives, the press and the GROB Italy team. "I am proud," said First Mayor Castello, "that GROB, such a prominent German company, has invested here in our region. New employment opportunities have been created for many people." Another milestone in the future of electromobility – made by GROB.